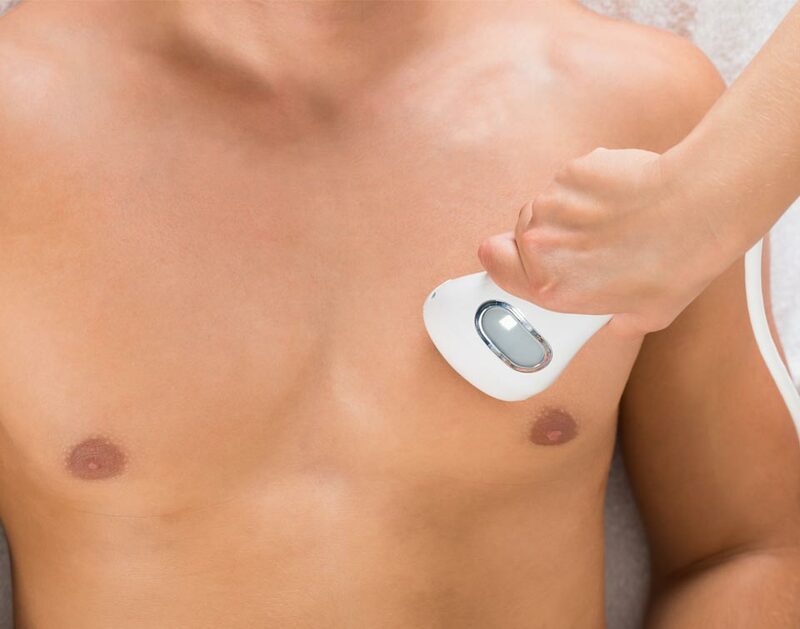 You can soon enjoy taking your shirt off at the pool or beach without ever feeling self conscious again! Laser is quick and very affordable. You work hard and deserve to treat yourself for a change. 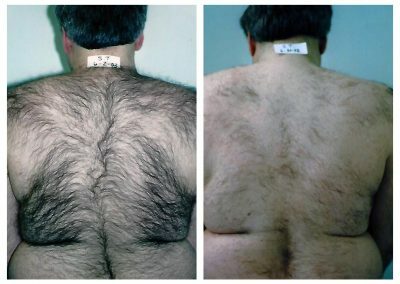 Men, don’t be embarrassed by back hair any longer. We have more experience performing laser treatments on men’s backs than any other center in the city of Pittsburgh. We have the longest experience doing laser hair removal in Pittsburgh. Experience correlates closely with great results. 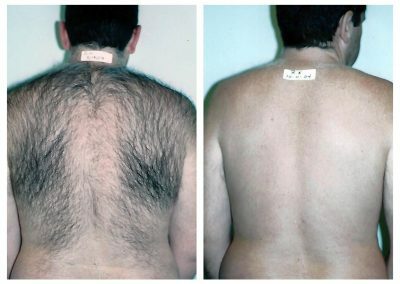 Laser hair removal for unwanted back hair is a marvelous breakthrough. 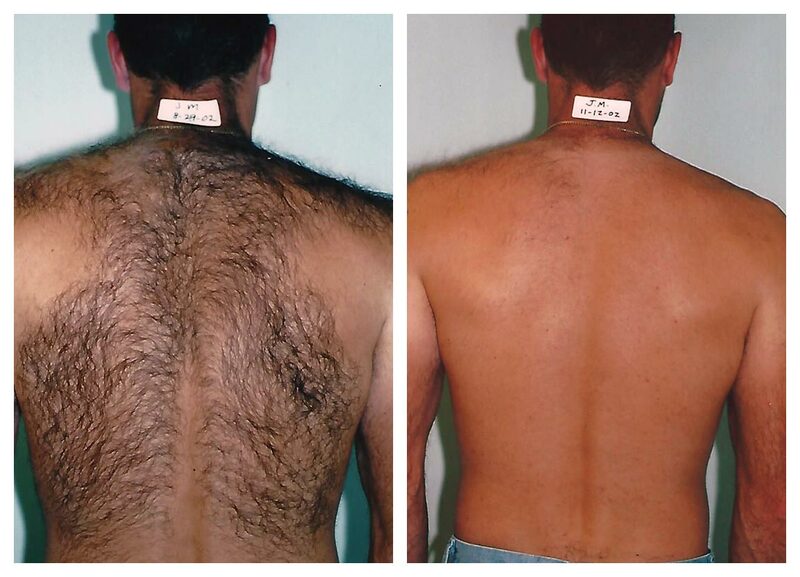 Laser treatments stop the embarrassment or teasing caused by your surplus back or chest hair. 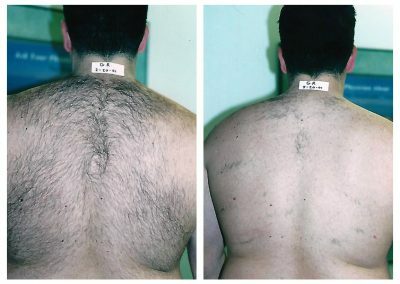 Before laser hair removal, for large areas like the back, the only other alternative option was shaving. Itchy stubble is inevitable and makes this choice unsustainable. Now affordable laser treatments can solve this dilemma. With our latest state of the art Alexandrite laser, countless hair follicles are simultaneously disabled with every zap of laser light. In fact, laser hair removal for men has achieved widespread acceptance and is currently as popular for men as it is for the ladies. Your procedure will be performed in our medical office under the direct supervision of Dr. Happel and not in a medical appearing front. We are not a franchised laser place run by businessmen where a doctor has never set foot. At other places, doctors – in name only – are hired by laser franchises to give them a medical appearance. Direct physician supervision by a doctor trained in laser surgery is important. This medical approach results in fast and effective hair removal. It enables you to go back to your usual activities without interruption. 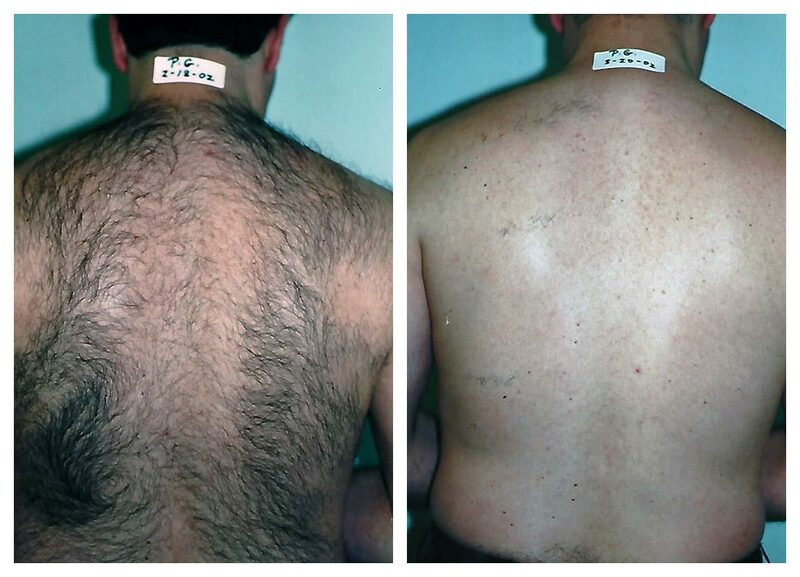 By applying laser light, hundreds of hair follicles are simultaneously disabled with each pulse. This is why laser is so important and necessary when treating large areas. Another alternative, electrolysis by contrast, would be prohibitive because of the time required to treat each hair follicle one at a time. Attempting to treat a large area with electrolysis would literally take hundreds of visits. 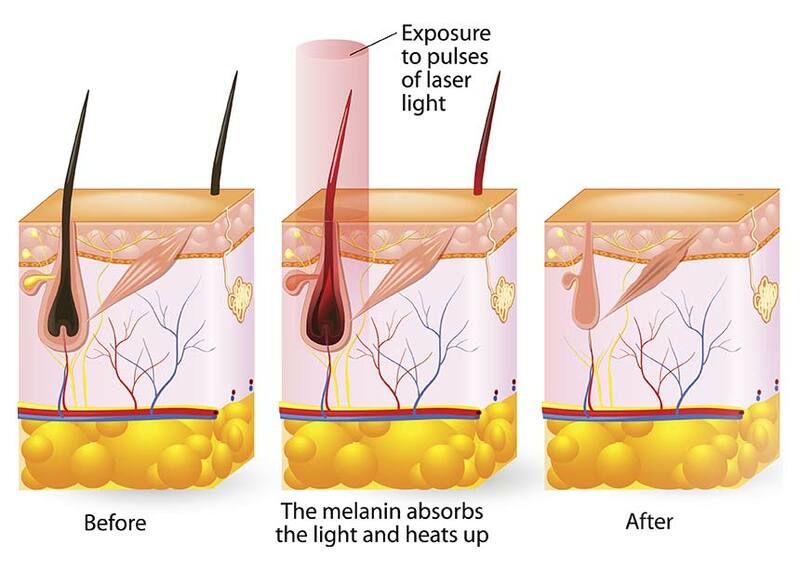 With laser, the energy is absorbed by melanin that is the pigment in the hair follicle. Laser light is attracted to dark objects (hair) that have a light background (skin) to get optimal results. For that reason, tanning around the time of your laser treatment is not recommended. Once the laser treats an area with each pulse, the underlying hair follicles are disabled leading to hair loss over the selected body part. Dark hair absorbs more energy and is thus easier to treat. It is for that reason that red, blond, or gray hair is harder to treat. 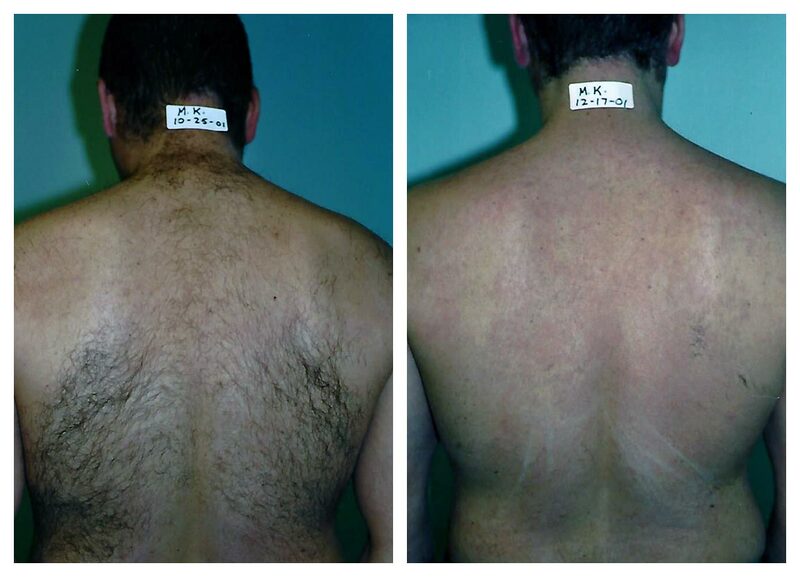 Men, don’t make these common rookie mistakes when considering laser hair removal. 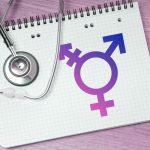 Read this informative article to learn how to avoid the most frequent errors that men often make before you go for your initial consultation. 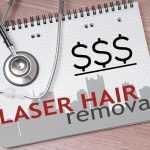 Choose a physician’s office specializing in laser hair removal. 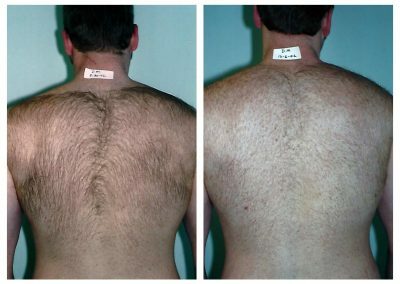 We have the longest experience performing laser hair removal in Pittsburgh. We are the only laser office in Pittsburgh that has been inspected. 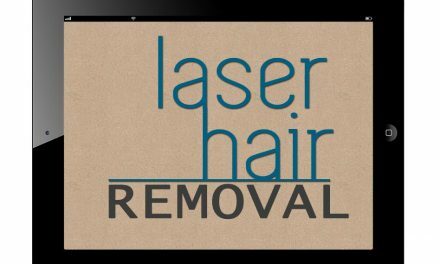 We specialize in laser hair removal only. 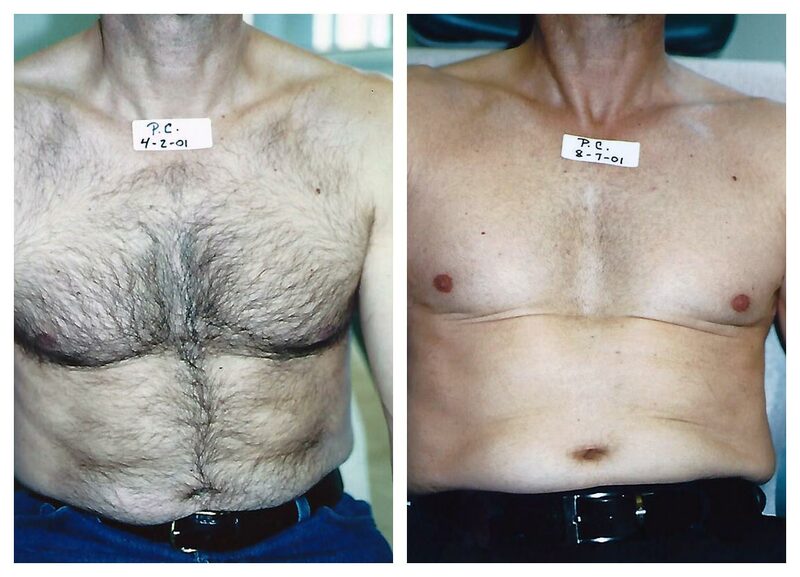 We don’t offer other cosmetic procedures like the med spas and the laser chains. The cost is 2-3 times less than the national laser chains that advertise on the radio. One of those has declared Chapter 11 bankruptcy and the other has financial challenges. Unlike these franchise chains and med spas, there are no binding contracts. There are no salespeople, hard sells or marketing gimmicks. When your back is smooth again, you will only wonder why you didn’t do it sooner. 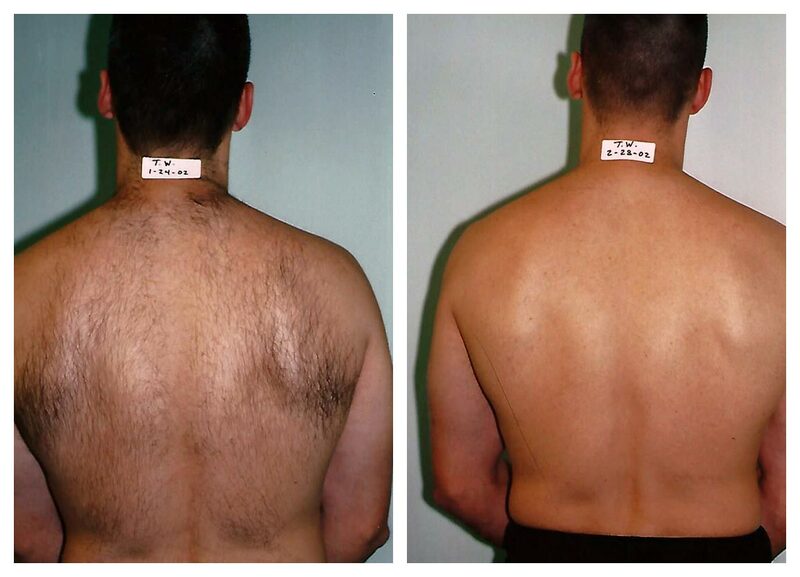 There is no reason to be self-conscious about your unwanted hair any longer. Don’t put up with the embarrassment any longer. Many men say it is the best thing that they ever did for themselves. Give us a call at 724-969-0600 or click here to learn more. Email us with any questions. 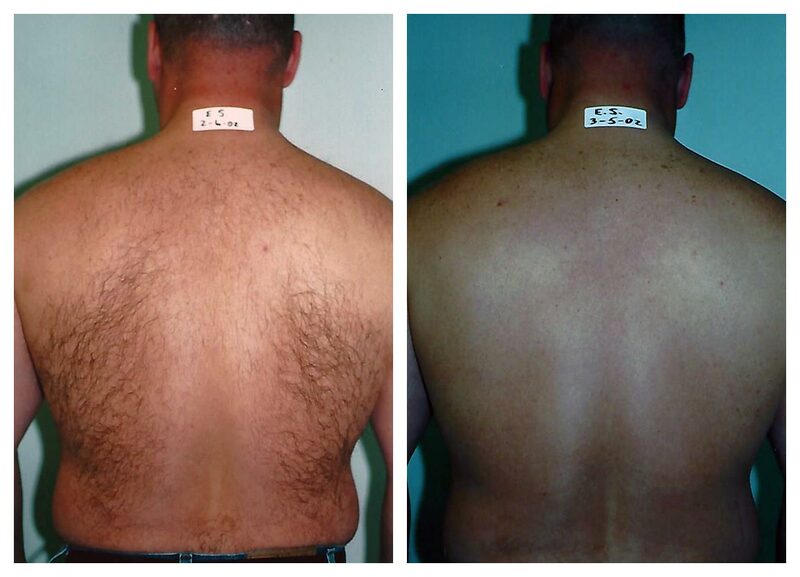 We are the only laser hair removal office in Pittsburgh that offers a free demonstration. Come in and kick the tires! 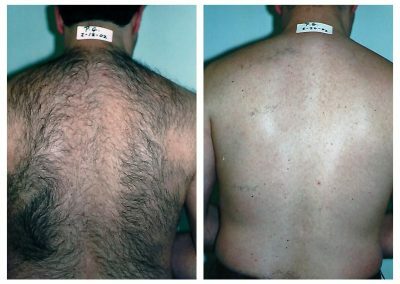 You have nothing to lose except your unwanted hair.